I really enjoy a good beer — I love a good coffee stout, and I rarely say no to a tall, frosty wheat beer. But summer brings with it lazy Saturdays of drinking tasty brews at the beach, and in my opinion, those heavier beers taste best when you’re just having one or two. Plus, I mean, if I’m sticking around and being social all day long, I could probably definitely stand a lower alcohol content than what my favorite beers offer, you know? 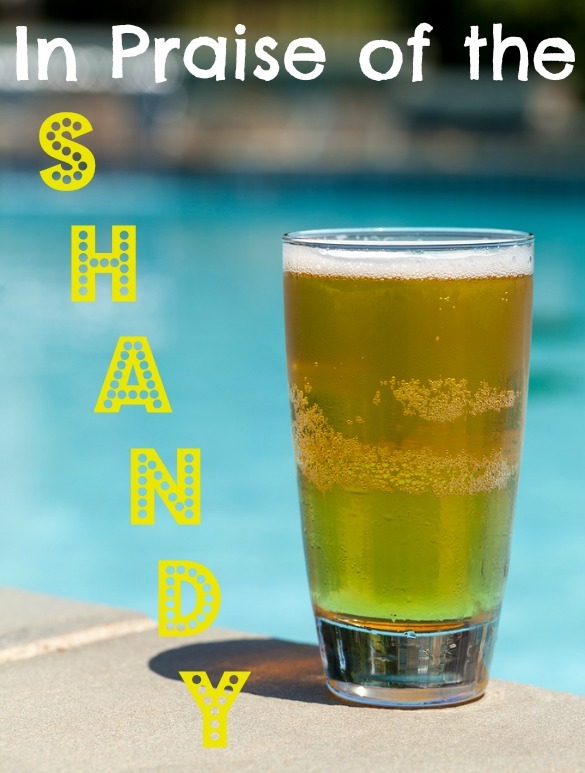 Enter the shandy. It’s a English drink (also known as a radler in Germany) that’s a simple mix of beer and lemonade (or ginger ale, or grapefruit juice, or another crisp and fruity beverage), and it’s become a summer favorite among my friends. If you’ve never tried one and think that combination sounds a bit suspect, slow your roll, baby — it’s refreshing and light and not all that different than squeezing a lime into your Dos Equis, really. Want to make your own? Take your favorite lager-style beer (like Samuel Adams Boston Lager), pour it into a glass, and slowly add 1/4 to 1/2 cup of lemonade to it. Stir gently and enjoy the heck out of it.